Princess Ubolratana Rajakanya Sirivadhana Barnavadi, 67, is the elder sister of Thailand King Maha Vajiralongkorn. BANGKOK: Thailand’s royalty made an unprecedented move into politics on Friday when the sister of King Maha Vajiralongkorn was declared as a prime ministerial candidate for March 24 elections, registration papers showed. 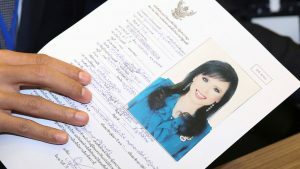 The nomination of Princess Ubolratana Rajakanya Sirivadhana Barnavadi, 67, the elder sister of King Maha Vajiralongkorn, promised to upend Thailand`s already turbulent politics because it breaks the long-standing tradition of Thai royalty staying out of politics. Princess Ubolratana will run as a candidate for a party loyal to ousted premier Thaksin Shinawatra. One of her leading opponents will be Prayuth Chan-ocha, the leader of Thailand`s military junta, who also announced his candidacy on Friday. 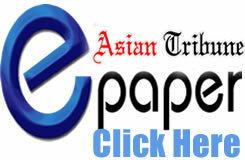 The election shapes as a battle between Thaksin`s populists and their allies and the royalist-military establishment. However, the nomination of a member of the royal family by the pro-Thaksin Thai Raksa Chart party could change that dynamic. “The party has nominated the princess as its sole candidate,” Thai Raksa Chart Party leader Preechapol Pongpanich told reporters after registering his party`s candidate at the Election Commission. Reuters could not independently confirm whether Princess Ubolratana`s nomination had the approval of the palace. There was no mention of the princess`s nomination in Prayuth`s statement. Princess Ubolratana, the oldest daughter of King Bhumibol, was born in Lausanne in 1951. She studied mathematics and bio-chemistry at the Massachusetts Institute of Technology (MIT) and earned a master degree in public health from the University of California at Los Angeles. Princess Ubolratana relinquished her royal titles in 1972 when she married an American, her fellow MIT student Peter Jensen. She lived in the United States for more than 26 years before they divorced in 1998. Princess Ubolratana is known for her “To be Number One” philanthropy campaign, which aims to help young people stay away from drugs, as well as starring in several soap operas and movies.